Pretty rad, eh? From this gothish book. 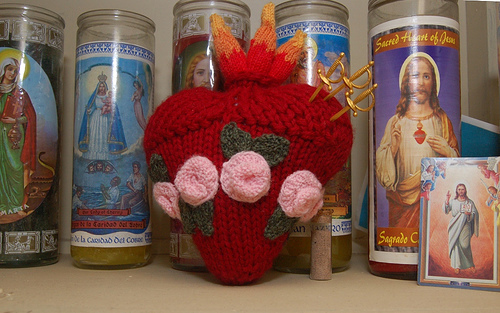 I'm adding it to my library requests to attempt an Immaculate Heart of my very own. Where do you buy sword toothpicks? Ellyn, I hope you do! I'd love to see your skillz. This page contains a single entry by LaMamacita published on June 16, 2009 8:02 AM. Wins the cute sweepstakes for today: was the previous entry in this blog. Whatcha Reading Wednesday is the next entry in this blog.